Volvo has added a mild-hybrid powertrain option on the updated XC90. Mild-hybrid powertrain, which will be identified by the B badge, will be available with existing petrol and diesel engines. The new XC90 features a new front grille and new wheels. It rivals SUVs like the Audi Q7 and Mercedes-Benz GLS. Note to readers: The updated XC90 is referred to as the 2020 XC90 globally since it will be introduced in the FY 2020. But we will refer to it as the 2019 XC90 since it’s expected to go on sale in India in the calendar year 2019. Volvo has revealed the refreshed XC90 globally and the updated model features a new front grille, new alloy wheels and more exterior colour options. On the inside, the changes are not drastic. The updated XC90 will now be available in a six-seat layout as well, with two seats in all three rows. Options of a four-seat or seven-seat configuration are also on offer, like before. Apart from the seats, one also has the option to opt for a “wool blend” interior material now. 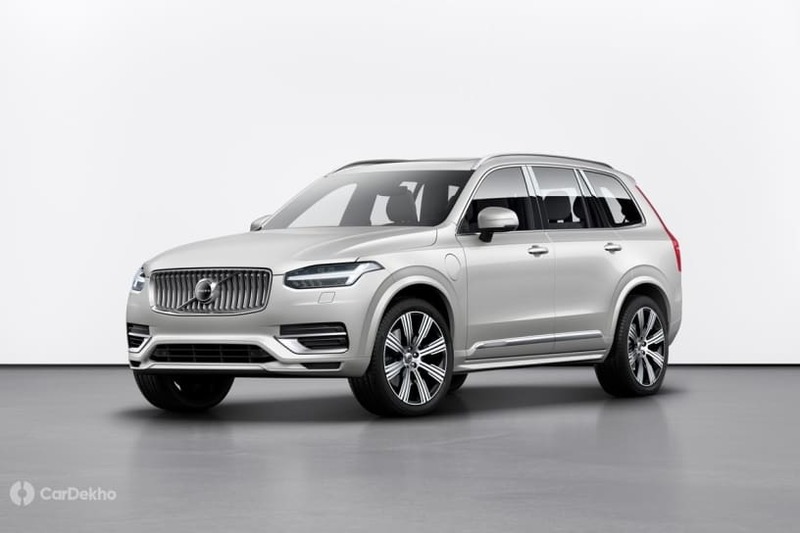 The 2019 XC90 debuts a new powertrain type for Volvo - mild hybrid. Badged as B, the mild-hybrid tech, which will be on offer with existing IC engines, will result in lower emissions and offer upto 15 per cent fuel savings, claims Volvo. The XC90 will continue to be offered with the T8 plug-in hybrid powertrain as well, like before. The updated model is also equipped with the Oncoming Lane Mitigation system, which was first introduced on the XC60 and is on offer in India as well. This tech can apply brakes if it detects oncoming vehicle, driving towards yours. Volvo says all the updates that have gone into the Sensus infotainment system over the years (since the introduction of XC90) have been incorporated in the 2019 XC90 too, including Android Auto compatibility. In India, the Volvo XC90 is available with a diesel engine as well as plug-in hybrid (with petrol engine). The price of the diesel XC90 starts from Rs 80.9 lakh, while that of the plug-in version starts from Rs 1.31 crore (both prices ex-showroom Delhi). The new model, which is expected to come later in 2019, and bookings for which are now open (as per Volvo Cars global), is expected to be priced in the same range. If Volvo plans to bring the mild-hybrid B version of the XC90 to India (with either diesel engine or petrol), expect it to be priced around the same range as the current diesel XC90. Volvo is yet to announce the specification and powertrain options for the 2019 XC90 for India.